Flowstopper: If your project is still hosted on SourceForge, I automatically assume it's dead. If your project is still hosted on SourceForge, I automatically assume it's dead. SourceForge was the first free project hosting platform for open source software. It was immensely popular. It was the hub during the early open source years on the web - it was the GitHub of today. repository. Many developers moved their code to more modern platforms since then. At first to Google Code, now to GitHub. Here are 3 reasons why you should move away from SourceForge. 1) SourceForge feels dead. Many active projects moved away. stability, community size and active development are the factors I look for. couple of years to the next hip kid on the block. But the fact that so many moved on means that what's left is probably abandoned. When I search for a software, and a GitHub and a SourceForge project comes up, I tend to click the GitHub first. Also, because of my search history, I probably get to see the GitHub links first. I'm certainly not alone here. Open Source needs contributors and users. And the easiest way for developers to pitch in or file a bug report is when they already know the system and have an account. If it's complicated, I pass. 3) Scam ads: this stinks! Here's the reason for my blog post. 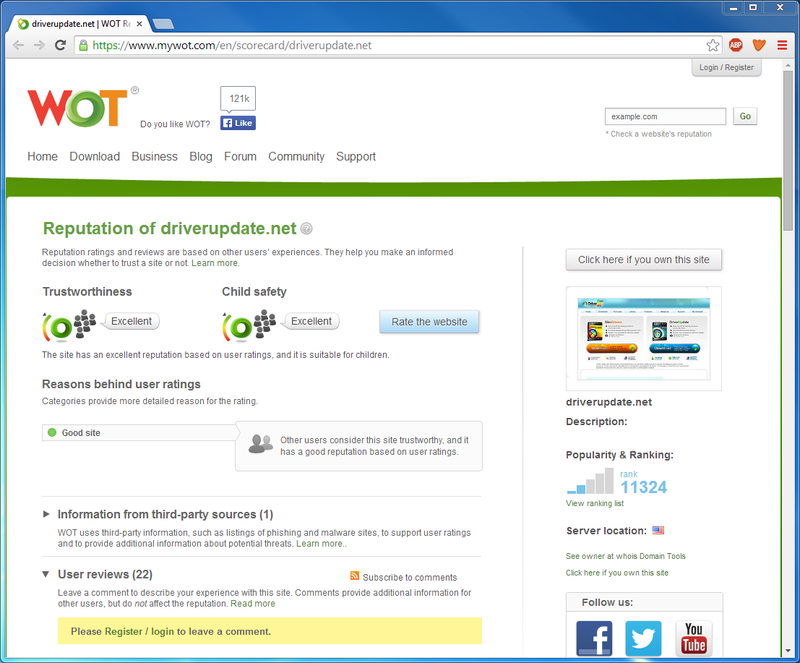 It leads to a suspicious looking website, with Microsoft Partner logo and Windows logo, offering Windows driver updates. The kind my mother would click, thinking it's from Microsoft. 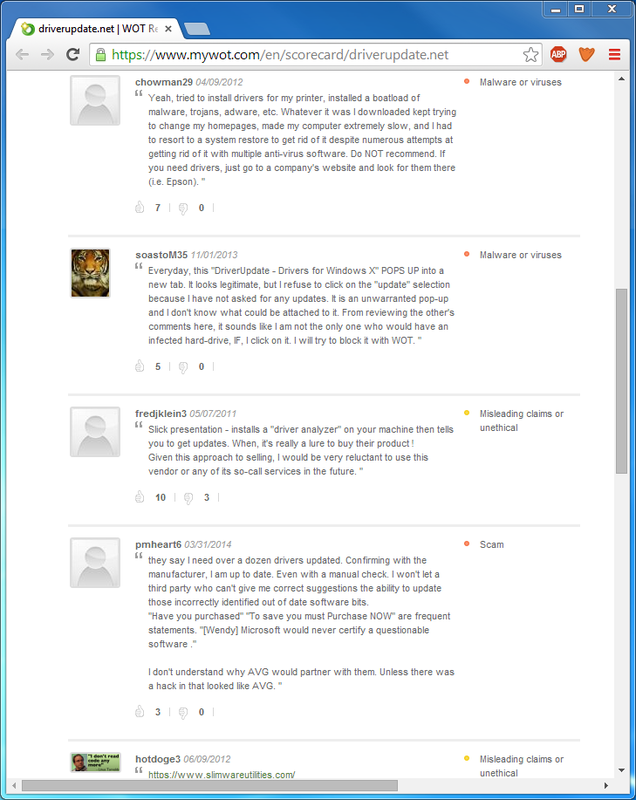 The site even manages to get a top rating on WoT by spamming good ratings, even though all the important comments say it's a scam. WoT, please fix. SF changed ownership in 2012, and as the Wikipedia article writes "More recently additional revenue generation schemes, such as bundleware models have been trialled, with the goal of further improving sourceforge's revenue." This looks to me like beating a dead horse. There's only downhill from here. Please spare other people from such frustration. Even if the platform was good once, now is the time to move the code away. To BitBucket or Google Code or GitHub or wherever. Thanks. Thanks for this post. This exactly how I feel about SourceForge. By now I just want it to die. I refuse to download anything from that site. 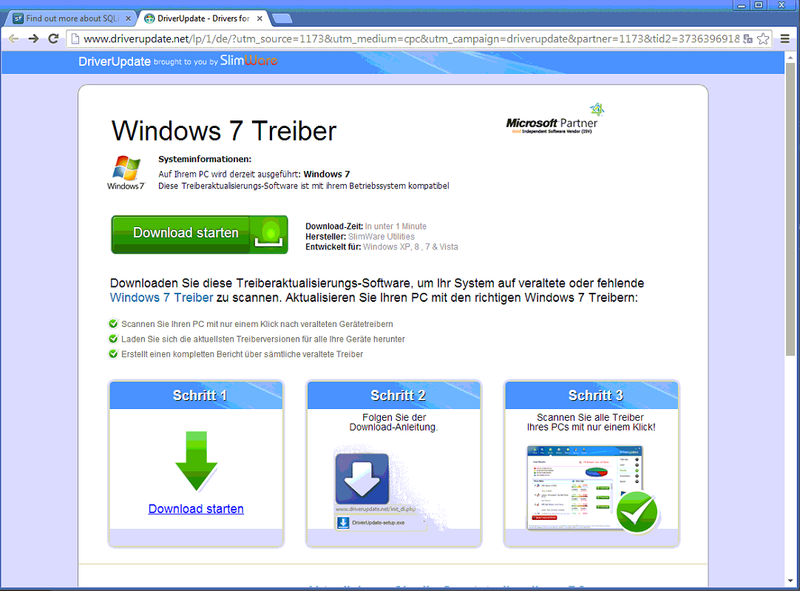 A lot of Software hosted on SF also comes with crap/bloat/spy ware bundled installers. sf.net has more system programming projects. github projects are usually web or high level stuffs.